You can read a lot from people’s faces, can’t you? Without ever hearing a word, you can sense irritation, pleasure, doubt, worry, and fear. You can sense condemnation too. You can tell if someone is angry with you before a word is said. How good are you at forgiving people who have done you wrong? Not so hot? Do you hold grudges sometimes? Sometimes we assume that that’s how God looks at us—never really forgiving completely, still angry, still remembering our moral failures. If we try to imagine his face, we fear that he is frowning. Our God eagerly desires a loving relationship with all of his lost and estranged children. That’s why he arranged for our wrongs to be placed on the head of an innocent substitute, his own Son. That’s why he instructed Moses to speak words of kindness to the believers and bless them like this: “The Lord make his face shine upon you and be gracious to you” (Numbers 6:25). Visualize God’s face right now. Visualize him smiling at you. He likes you, you know. Find the hope you need to start moving forward again! Every single one of us can relate to times in life when we need hope to persevere. 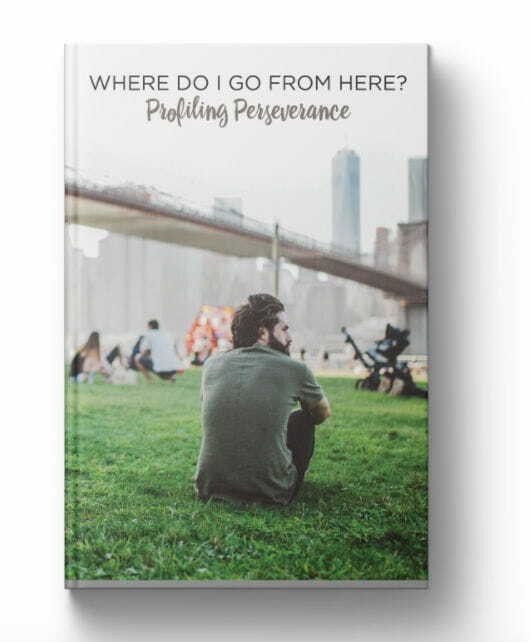 And in our brand-new book, Where Do I Go From Here? you’ll discover how the Bible says you can navigate and move forward from the trials you face in life. Where Do I Go From Here?is a candid and empowering book that profiles the power of perseverance through the lens of Scripture. And as you read it, you’ll be reminded of the truth that regardless of your circumstance, you have a way out. Because in Jesus, you have a hope and a future! We’ll send you Where Do I Go From Here? to thank you for your gift today to help reach more people with the timeless truths of God’s Word. Just request yours when you give. Thank you for your generous support! Request your copy!